The Lezyne Pressure Drive is an ultra-compact hand pump made from 100% custom CNC-machined aluminum for precise and lightweight operation. 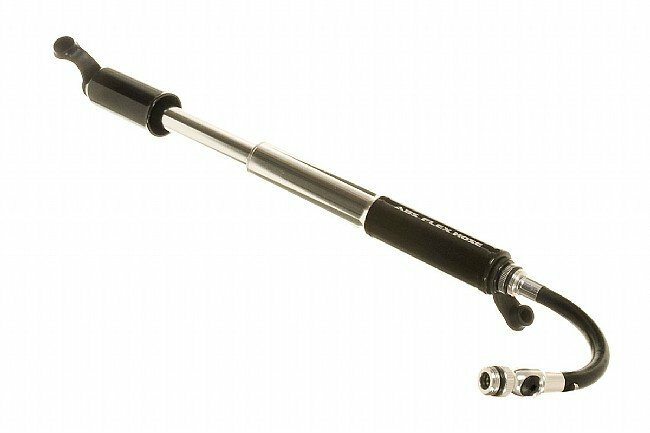 Despite its small stature, the Pressure Drive makes an ideal frame pump replacement, using HP technology to inflate tires to riding pressure with 30% fewer stokes. The integrated Flex hose creates an airtight seal against the valve, eliminating the need to hold the pump head during inflation and helping prevent damage to fragile Presta needles. For easy removal, the ABS (Air Bleed System) allows users to release air pressure in the pump hose after inflation -- no elbow grease required. The head is reversible for use with Presta or Schrader valves and the hose conveniently stores inside the pump handle when not in use. 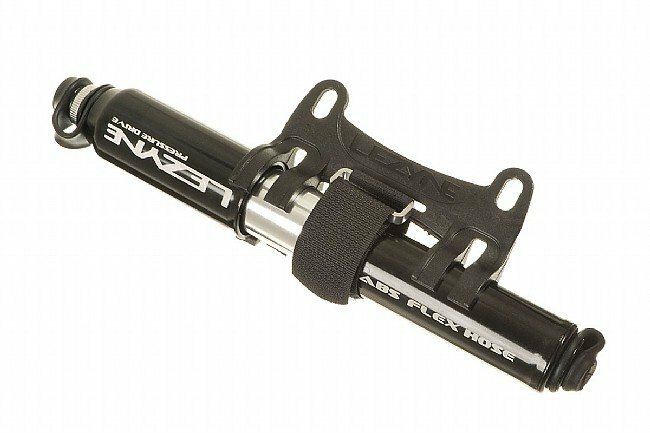 The Pressure Drive hand pump is available in size Small (170mm long, 90 grams ) or Medium (216mm, 102 grams) and inflates tires up to 120 PSI (8.3 Bar). For use with Presta or Schrader valves. High Polish Black only. Composite frame mounting bracket included. Good, solid pump to take on the bike. I started carrying my Lezyne after deciding not to carry CO2 any more. This pump it hose are well made, and pump up a tire quickly. I carry one on my road bike and on on my commuter, both bought from BTD. Since I am here, props to BTD shipping, as if I order on Monday, stuff is here on Wednesday. The pump is light, easy to use and pumps up a tire easily. It does take some effort to get the tire up to 100 psi. This pump is the road biker- best to own. that fits just above your front deraileur perfectly. Operates just as designed.